Well I congratulate IIT’s for the efforts they are taking to promote engineering education to the masses. 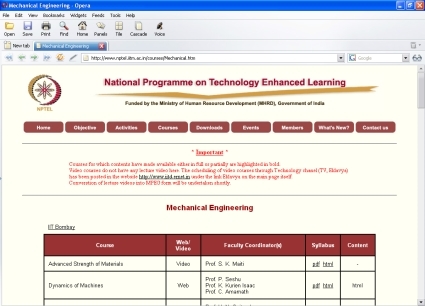 The programme known as National Programme on Technology Enhanced Learning (NPTEL) gives common man of India, access to world class engineering education free of cost which is just a click away. This is a great move my Government of India. Via Hardcopy of The New Indian Epxress Newspaper dated 03.09.06.